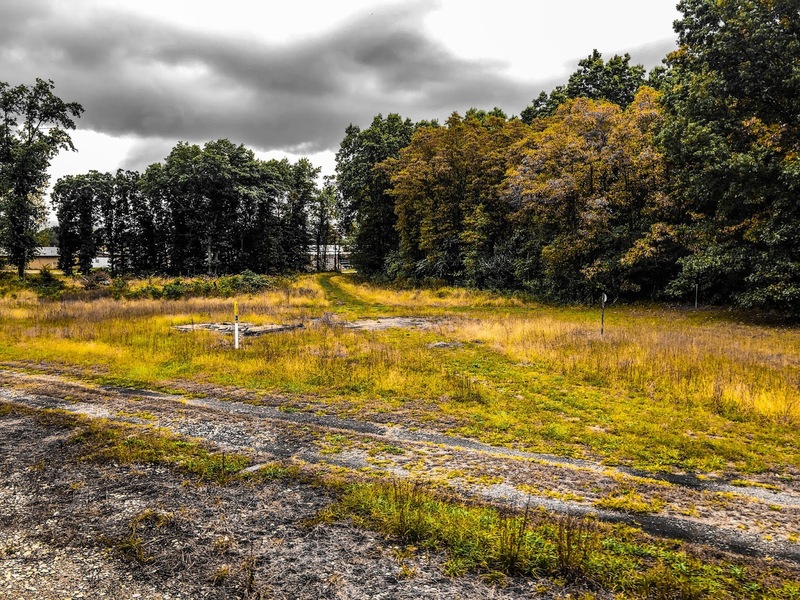 The Herald News, "Fall River Rail Line Being Reclaimed After 60 Years of Inactivity". Jack Foley, Photographer. Like any piece of infrastructure, or facility, a railroad line has a finite time of existence. A line is built, and functions as long as it is properly maintained and there is traffic on the line. Once that ends, it is either left in a dormant state, or the rails are dug up and sold for scrap. Dead railroad lines continue to stay dead, generally speaking, and their remnants sometimes make for some interesting discoveries decades later. As I've learned over the course of my abandoned railroad research, the abandoned railroad network is even more vast than our current network. 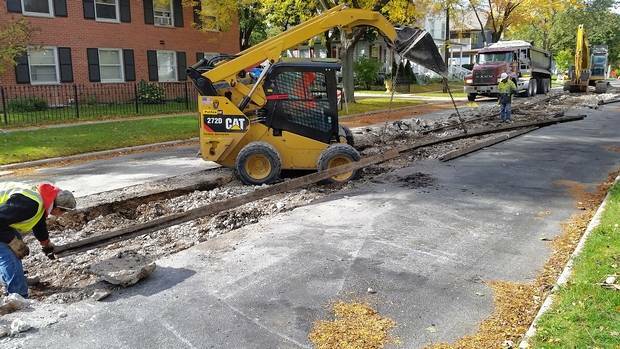 Streetcar tracks discovered during a construction project in Elgin, IL. Image: City of Elgin. As railroad lines were consolidated, and continue to be consolidated, especially since the beginning of the 1970's, the scenario described reflects the vast majority of the lives of railroad lines. It is these abandonments that make up the majority of what I cover on this site. That said, that is not the story of every railroad line. Some corridors follow a non-linear service timeline. 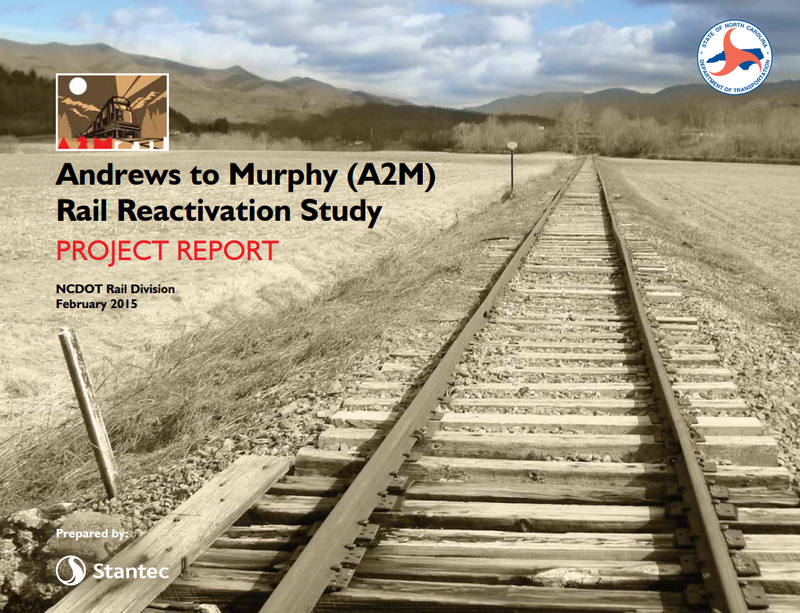 Indeed, although it is uncommon, a railroad can be reactivated even following total abandonment. First, let's discuss how much of the rights-of-way of abandoned railroad lines are preserved in the first place. While it may seem counter-intuitive, the railroad industry actually has the National Trails System Act to thank for this. Roughly 15 miles along US-74 separate Andrews, NC to Murphy, NC, which parallels the old Louisville & Nashville Railroad between the two cities. This line was abandoned in 1985 although the infrastructure was purchased by the State of North Carolina. The line underwent a corridor study in 2015, which recommended reopening the railroad as a freight corridor, which could add $60 Million to the regional economy. 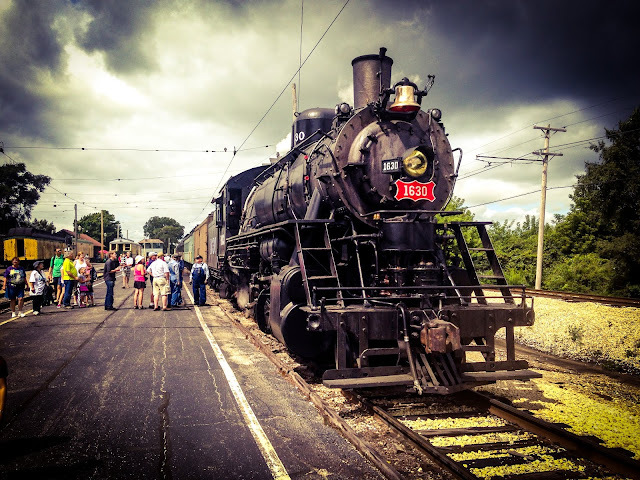 2) Illinois Railway Museum, Union, IL. In 1956, the Illinois Railway Museum was growing out of it's original North Chicago home and looking for a place to call home more permanently. 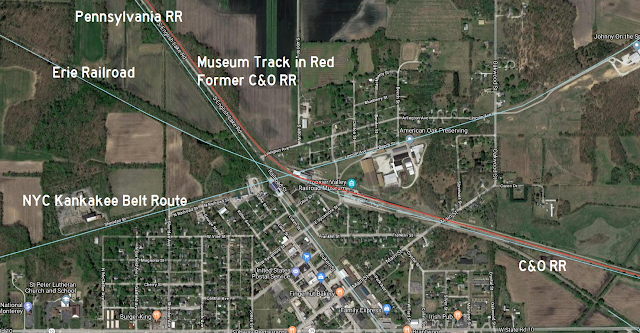 A long abandoned interurban line paralleling the Chicago & Northwestern Railway in Union, IL offered a solution. 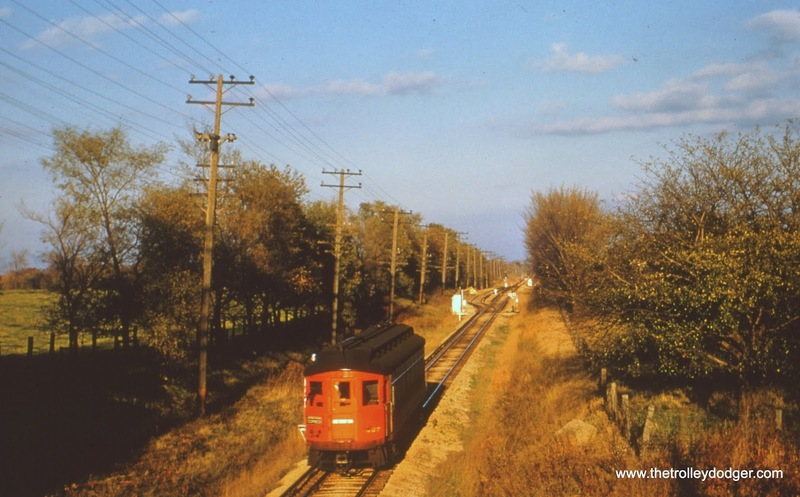 The Elgin & Belvidere Electric Railroad ran between it's namesake cities and offered transfers to trolley systems leading to Chicago & Rockford on the east and west, respectively, but like many electric lines, it could not keep up with the automobile, and was abandoned in the 1930's. The line was purchased for back taxes by the Illinois Railway Museum, who promptly moved their campus to the Union location, and has been there ever since. The museum reactivated a 7 mile stretch of the interurban used to showcase their steam and diesel operations by the mid-1960's. IRM 1630, A former Frisco Steam Engine. Photo taken by me in August '14. In this case, reactivation of the line resulted in a tourist railroad, which is how a few reactivations have occurred. These efforts are almost entirely the output of hundreds of hours of volunteer labor and a love of the railroad. Honolulu, HI has a tourist train after the abandonment of most of the Oahu Railway and Land Company trackage, thanks in large part to volunteers, as one example. As the longest abandonment in US History, the Milwaukee Road Pacific Extension was abandoned in 1980, and most of it wasn't sold off to other railroads, including a roughly 275 mile stretch between Rapid City and Mitchell, SD. The State purchased the right-of-way and reactivated the line already between Presho and Mitchell, and is apparently working to restore the entirety of the line all the way to Rapid City, be it as a common carrier freight railroad, or a tourist operation. As of now, it's mostly used for railcar storage and a few short line operations. Image: Larry Gibson, March 2009. 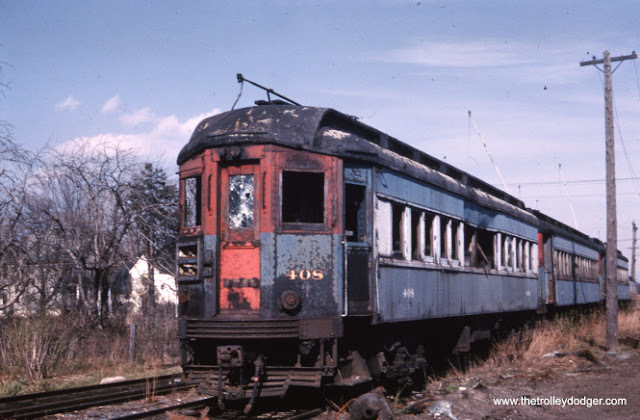 Located in Northern Maine, the Calais Branch of the Maine Central Railroad was abandoned in pieces since the early 1960's, and it wouldn't be long before the entirety of the line was abandoned from Bangor all the way to St. Croix Jct, a distance of roughly 130 miles. 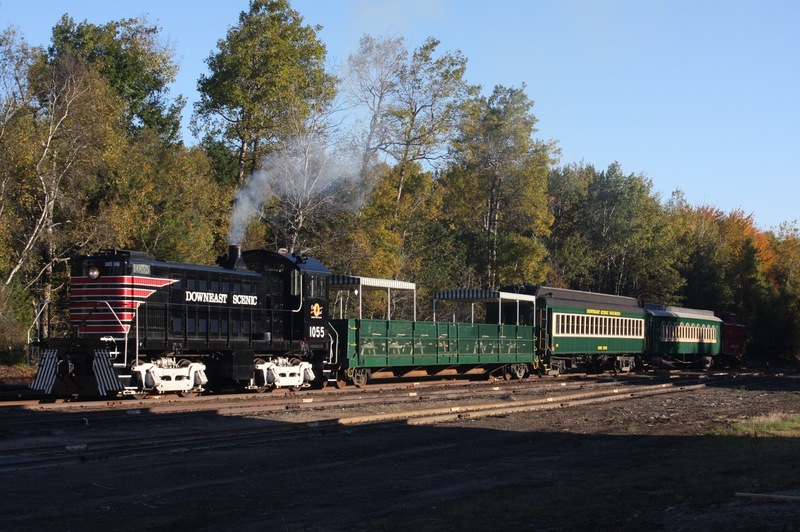 But in 2010, the rails got some life put back into them when the Downeast Scenic Railroad, another volunteer heritage railway began running a 5 mile route in Ellsworth, ME. The State of Maine also owns the trackage between Bangor and Ellsworth, meaning the possibility of further reactivation, either with freight or as an expansion of the Downeast Scenic. Such is the case of many reactivations; while some part of the line may be useful as a short line freight operation, a commuter rail or a tourist train, often only a small amount of the line returns to service. I've written before about the necessity of rail trails, and how they benefit communities, the general public, and the rail industry alike, the rail system of yesteryear was overbuilt, and in a continuously efficient rail transportation environment, a railroad abandonment or railbank agreement is not the end of the world. And indeed, it might not be the end of the rail line itself, assuming the land is preserved. The abandoned railroad network is confusing enough, and adding rail reactivations makes things even more confusing. That said, the next step on my abandoned railroad map is to create a reactivations layer, as some good news to the railfan and the rail industry needs to be shared, as well as described for context. To my knowledge, no one has created a map of railroad reactivations, so if you know of any more, or any that might become reactivated, please let me know in the comments! As always, thanks for reading, and have a happy Halloween from Forgotten Railways, Roads & Places! St James Farm is a 200 acre preserved farm that has been owned by the DuPage County Forest Preserve since 2007, located on the northeast corner of IL-56 (Butterfield Rd) and Winfield Rd. According to the Forest Preserve, the property was acquired by Marion McCormick in 1920, nephew of McCormick Place namesake Cyrus McCormick. Interestingly, another McCormick, Robert, owned the nearby Cantigny Park. Marion passed the property to his son Brooks, who bequeathed the property to the Forest Preserve upon his death in 2007. I had been meaning to visit this place for sometime, and on a day that I simply felt like going for a walk, as opposed to tracing, photographing, and researching abandoned railroad lines, I decided to visit this place, not knowing a thing about it. Wanting a nice, solitary walk, I did get that from this place, and you will too. About a quarter way through the trail that loops around the land, I took out my phone's map for navigation, on which I have my Abandoned Railroad Rights-of-Way Map as a layer. I knew I was close to the Illinois Prairie Path, and thus the abandoned Chicago Aurora & Elgin right-of-way, but I didn't realize that it literally went right through the farm, and even had a couple stops, which I learned thanks to handy informational signs in the preserve. So much for not dealing with abandoned railroads today! I must have a sixth sense. "I see dead railroads!" In this case, a CA&E right of way that isn't part of the Prairie Path. Given the vast network of abandoned lines, I suppose this is none too surprising. But the more I walked around the farm, the more history was there. And I'm not talking about the preserved barns, garages, and horse stables, which are beautiful and well maintained by an obviously caring Forest Preserve staff, but history that would otherwise go unnoticed by the vast majority of patrons, myself included. And I'm not even talking about the railroad, as one of the main roads through the preserve was actually a very old alignment of Butterfield Rd, which is now 100 yards south, and a 4 lane divided highway. Pictured: The historical alignment of Butterfield Rd. Also, gorgeous autumn colors. What Butterfield Rd looks like today, for comparison's sake. It was expanded to four lanes in 2012ish. This sign explains the former presence of the railroad, which I knew, and Butterfield Rd, which I didn't. Thank you for keeping the history of this place alive! Walking clockwise around the preserve, I specifically avoided the buildings and stables, opting instead for the peace and tranquility of the forest. It was only on my way back that I decided I needed to photograph them! The entrance of what I'm assuming was the house or some sort of common area. This is the first thing patrons of the preserve see upon entrance from the parking lot. Built 1930, Restored 1985 according to the concrete on either side of the back entrance. Stables on the back end of the property. Looking closely, you can see some machinery still intact from the time period. I highly doubt any of it is still functional. Backside of the other building. Stables? As I made my way around clockwise, the first intersection in the loop allows one to turn toward the farm, Mack Road, or continue on the loop. Not sure where I wanted to go at this point, I turned left and came across the cemetery the McCormick's built for their deceased dogs and horses. Very sad sight, but also a lot of love here to keep their memory alive. May they rest in peace. I decided to walk the loop, despite not really knowing how long it was. In the distance there were many trees, and probably hundreds of geese in the meadow in the foreground. Looking toward the farm from the Horse and Hound Cemetery. At this point, you're maybe 30 feet higher than the surrounding area, but surrounded by trees, the feeling that you're really high up intensifies. It was here that I realized the path led to the Illinois Prairie Path, and that I'd be blogging this today. This sign could just as easily read Chicago left, Aurora right. Looking toward the farm, or West. The Prairie Path diverges from the ROW at the bend, as the farm was still privately owned when the path was built. Looking towards Wheaton, or East. I have one very small complaint. I think the barbed wire fence is a little excessive since this is now public land, and the fence ends where the sign is displayed, so anyone wishing to trespass would have no problem doing so. Maybe it's there for historic preservation, but it just seems wrong, in my humble opinion. The Path circumnavigates the south end of the farm, and goes under Butterfield (IL-56) here. From this point, I reentered the preserve and walked north to what was the old Butterfield Rd, unbeknownst to me, and where it crossed the CA&E. Source: USGS Historic Map Viewer, 1908 Wheaton Topo Map with a little opacity to show Butterfield now and then. Sometimes a row of trees is just a row of trees. Other times it signifies where a rail line used to be. This is the latter. This lake in the background was constructed after the CA&E left town, and no remnant outside of the utility lines exist of the ROW. West of here, the CA&E went under IL-56. The Prairie Path rejoins the ROW shortly after crossing IL-56 and Winfield Rd. A little backtracking to the rest of the farm after taking some pics of the ROW led me to find even more treasures of the place. Looking East toward the rest of the farm. A small and quaint foot bridge leads you over a creek. Looking south on the bridge. A short walk further and you come across a caboose! I like big cabooses and I cannot lie. The signs outside of the caboose tell the story of Gary Siding, one of the stops on the CA&E line, which happens to be a few yards from here, and how Brooks McCormick won this caboose at a WTTW auction. It was recently repainted in proper CB&Q colors. From there, some art is on display, as well as some interesting landscape architecture. As the philosopher Robert Plant said, "If there's a bustle in your hedgerow, don't be alarmed now." And then I found myself near Gary siding, where the ROW intersects with the path in the farm. Once again, the utility lines are the only clue. Gary Siding looking West according to The Trolley Dodger. A shot of the yellow barn. Next, I learned what an Allée is, a row of trees planted parallel to one another. 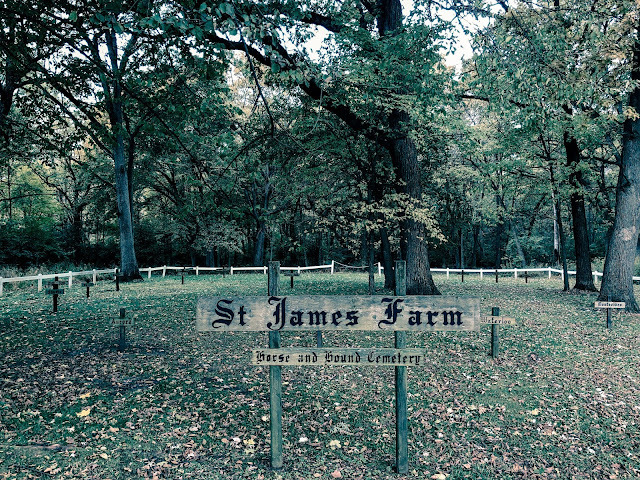 There are three within the farm, according to the sign. I found two. Both were gorgeous. From there, you're behind the buildings and thus near the end of the loop. This is a great place to go for a walk that also keeps local history alive, and I am truly grateful that the property was able to be preserved and gifted to the Forest Preserve as opposed to being redeveloped. As always, I hope you enjoyed this blog, and thanks for reading! Much like the town of Anthony, KS, North Judson, IN is another town that once was a junction between multiple railroads, today all of which are long gone. 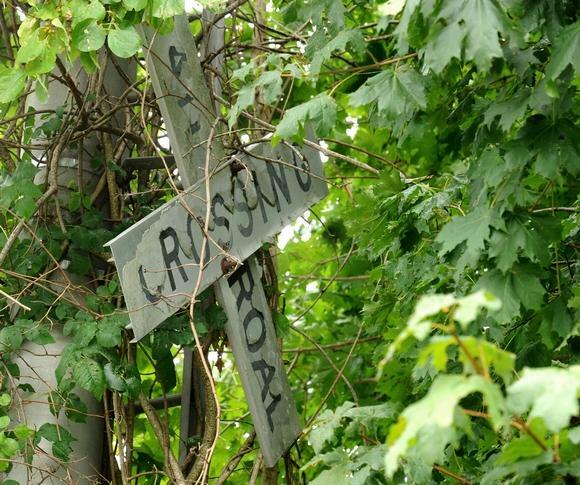 At this intersection today, the railroad history of North Judson is preserved with the Hoosier Valley Railroad Museum, which does a great job of taking the complicated rail network of yesteryear, and paying homage to the bygone days of each line. Today's blog will show images from what the lines look like today, in and around North Judson, as well as shots from my visit to the museum. The ties from the NYC Kankakee Belt Route are still viewable. 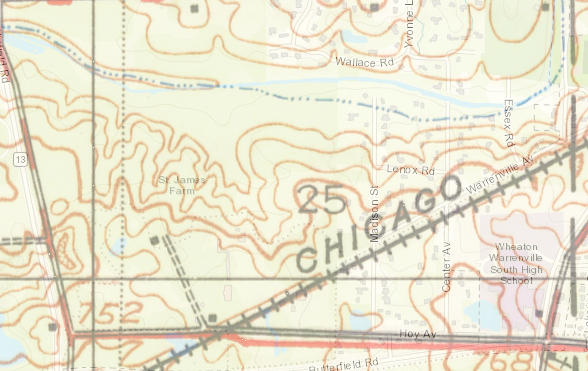 The Kankakee Belt Route of the New York Central ran east-west through North Judson, appears to have been abandoned in the 1960's. Running between South Bend and Kankakee, the line is still in service west of Wheatfield, IN. The Erie Railroad was the longest abandonment to run through North Judson. It connected Chicago to Lima, OH, and continued farther east from there. The abandonment begins just east of the Indiana border in Hammond and continues all the way to Elgin, OH, roughly 176 miles. Only the museum tracks and a couple short line operations less than a mile long use any of the right-of-way today. The Pennsylvania Railroad is abandoned between Beverly Jct in Chicago to Kenneth, IN, west of Logansport. It competed with the Erie between Chicago and North Judson, with the Erie running a slightly more direct route. Both the Erie and Pennsylvania lines have sections of rail trail; The Pennsylvania is known today as the Major Taylor trail in Chicago, and the Erie has the Erie-Lackawanna Trail beginning in Hammond, as well as the North Judson Rail Trail east of North Judson. The Pennsylvania ran parallel to the Chesapeake & Ohio Railroad immediately north of North Judson, running along the west side of English Lake Rd, while the C&O ran on the east side. Like the rest of the Pennsylvania System, it merged into Penn Central, and later Conrail. The line appears to have been abandoned sometime in the 1980's. The Erie would merge with the Delaware Lackawanna & Western Railroad, becoming the Erie Lackawanna Railway, who would abandon this stretch of the line. Sign pointing toward the museum in North Judson. This ROW immediately east was formerly the PRR. Grasselli Tower, located where the still active C&O line now used exclusively for heritage operations by the museum. The C&O Tracks, still intact. The line ends immediately southeast of the museum, and much of the museum train uses the tracks for the ride, otherwise I do not believe these are used, other than for storage at the museum. By far, the most impressive piece of rolling stock the museum has, unfortunately it wasn't running today. The museum is small but well taken care for, and has plenty of rolling stock, and lots of photos of the history of this place. It was hard to get a great picture, given the glare, but this is an N-Scale model of the junction as it looked in the 1950's. There are many other railroads represented in the rolling stock preserved here! Metra Electric car. They had a couple of these on display, neither of which were running. The highlight of the museum, which is free, is the heritage train, which runs between English Lake and a farm just east of North Judson, which is $12 a ticket. 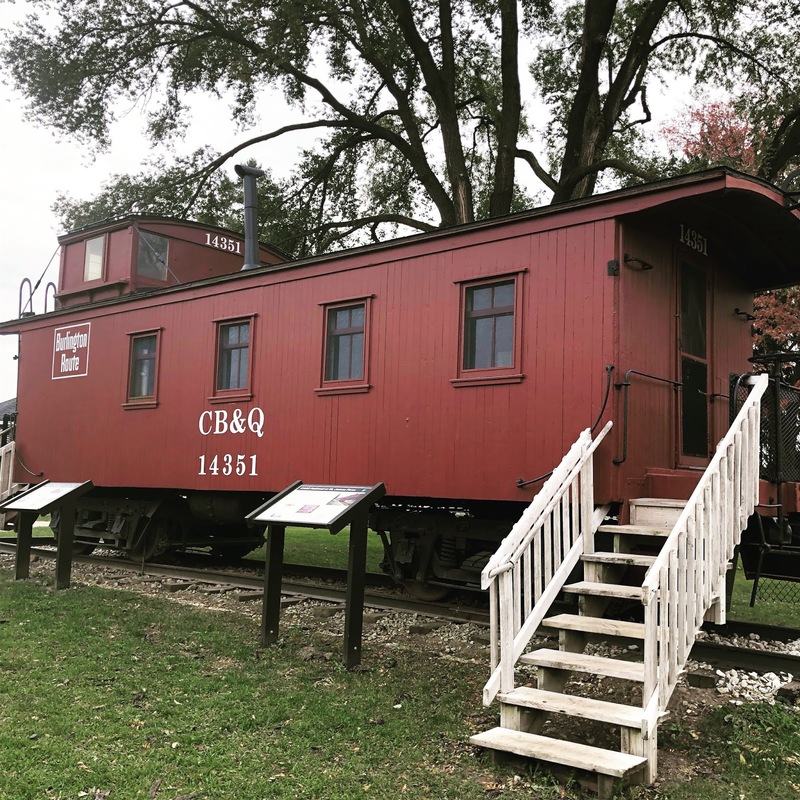 Well worth the price in my opinion, and it goes to a good cause, keeping the museum running and preserving the history of an important railroad junction. Erie Lackawanna 310, used for power on the train. Long Island Railroad Car, used in the heritage train they run. EJE 184, another car used on the train. A little switcher engine on display. The open-air cars are part of the train, and I recommend them over the coaches, you get to see a lot more from these. The HVRR museum has a neat set of operating wig wags for the pedestrian crossing at the depot/gift shop. The museum is a fun place to spend the day, and is appropriate for all ages (there were plenty of young kids there enjoying the ride). It does a great job of taking the history of North Judson, and each of the railroad lines running through it, and preserving it for future generations. If you ever find yourself in Northwest Indiana (specifically, Starke County), I suggest paying them a visit!